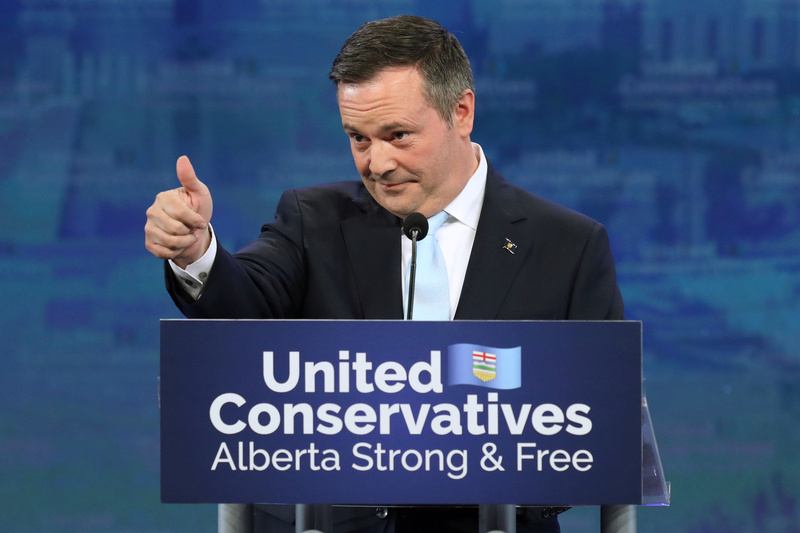 The United Conservative Party (UCP) had an overwhelming victory in Alberta’s Tuesday election, which focused on building a pipeline to sell the province’s oil. Premier-elect Jason Kenney was a high-profile defense minister in the former federal Conservative government of Prime Minister Stephen Harper. Kenney entered provincial politics after resigning from his position as a Member of Parliament in 2016. He later won the leadership of the now-defunct Progressive Conservative Party, forged it with the Wildrose Party in a “unite-the-right” calculation and then won the leadership of the UCP. The new conservative force in Alberta politics has won 63 of the province’s 87 seats in the provincial legislature, the National Post reports. Kenney will replace Rachel Notley, who has led a quasi-socialist New Democratic Party (NDP) government for the past four years, as premier. The NDP victory was a culture shock in Canada’s most conservative-leaning province that in many ways has modeled its oil and beef economy and politics on Texas. Kenney is already threatening to turn off the oil to British Columbia because the province is opposing the Trans Mountain pipeline that will bring Alberta crude to the port of Vancouver for offshore sale. The pipeline was nationalized by the Trudeau government but construction has been stymied by judicial rulings and environmental concerns. Ontario Premier Doug Ford (L) and Alberta’s United Conservative Party leader Jason Kenney show their solidarity in opposing Canadian Prime Minister Justin Trudeau’s carbon tax. YouTube screenshot, Oct. 6, 2018. In her concession speech, Notley promised to mount an effective opposition to the government.